We're going to create a SingleObject class. SingleObject class have its constructor as private and have a static instance of itself. 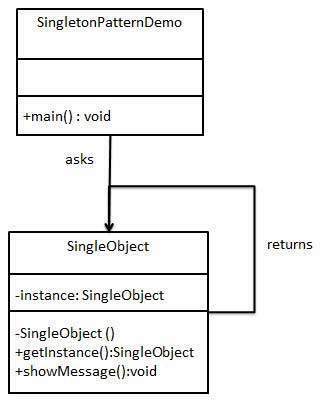 SingleObject class provides a static method to get its static instance to outside world. SingletonPatternDemo, our demo class will use SingleObject class to get a SingleObject object.